This fall, students at the University of North Texas have access to new tools for career development, searching for jobs and showcasing skills. 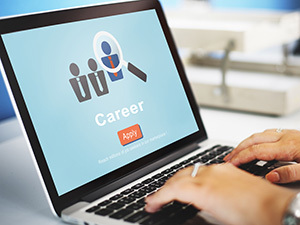 The university has partnered with Pearson to launch Career Connect Pathway, a collection of digital learning materials powered by the company's Career Success Program. Digital badges and credentials that represent skills gained at the university. "UNT Career Connect is based on the idea that every UNT student already has a wide range of real-life, high-impact experiences that can be from the classroom and co-curricular," said Mike Simmons, assistant vice president for academic affairs at UNT, in a statement. "Career Connect is a way to integrate all of the activities to really showcase student skills like communication, teamwork and critical thinking. The ability to demonstrate these in-demand professional skills sets our students up for success and ensures their marketable skills are front and center for potential employers and graduate schools."